Looking for an instrumental Jazz piano album? Well let me introduce you to David Ian and this amazing album titled 'Vintage Christmas Trio' that has ten Christmas tracks that are brilliant. Opening with the track 'Deck The Halls' this smooth piano piece is a wonder to the ear. The album also has a very upbeat jazz version of 'Joy To The World', all in all a great addition to the Christmas music collection. Also featured is the Bing Crosby track 'Silver Bells' where the tone of the piano is truly amazing. Read More Looking for an instrumental Jazz piano album? 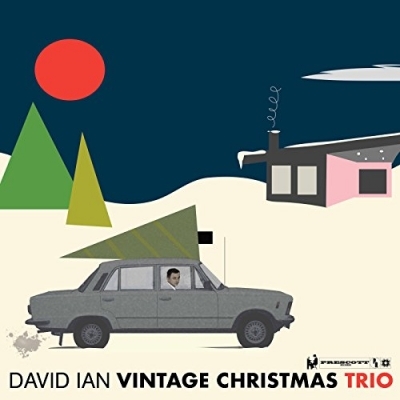 Well let me introduce you to David Ian and this amazing album titled 'Vintage Christmas Trio' that has ten Christmas tracks that are brilliant. This is a really lovely album to listen to. It’s the kind of album to not just put on during a dinner party in December but also when putting up the Christmas tree. This album sprinkles Christmas from start to finish.